I started off this look with the Revlon COLORSTAY Full-Cover Matte Foundation in shade 110 Ivory. I used a hot pink blush from NARS, and Vita Liberata Bronzer. My eyes are using the two COLORSTAY cream shadows swatched below as a base, with some of the Galaxy Dream highlighter palette over top. I used a L'Oreal Paradise Enchanted black liquid Eyeliner, and the mascara is Revlon Volumazing. I used a QUO brow powder and the Revlon Cushion Lip Tint in Naughty Mauve on the lips. I really like the final effect of these gorgeous, glowing products. 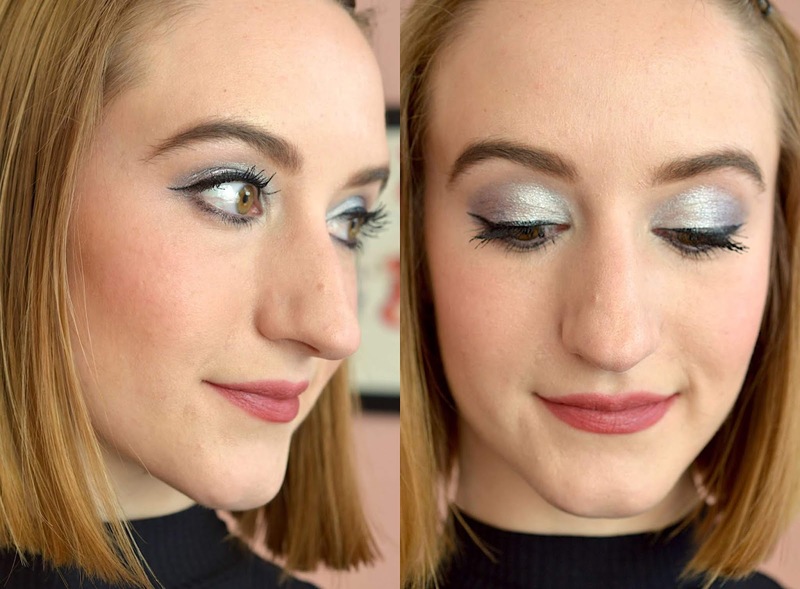 It's a fun, cool-toned look that is perfect for a night out dancing with girlfriends. 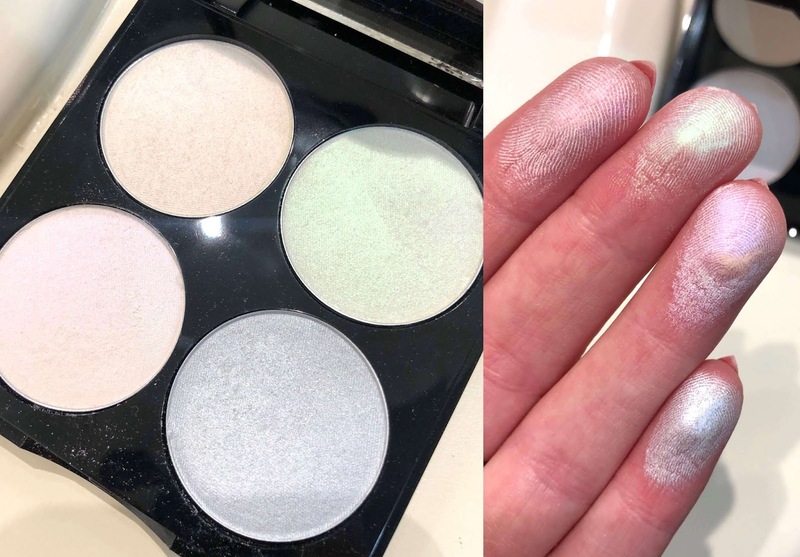 The highlight palettes from Revlon are really multi-functional. I used Galaxy Dreams and applied it both on the high points of my face, and on my eyelids. 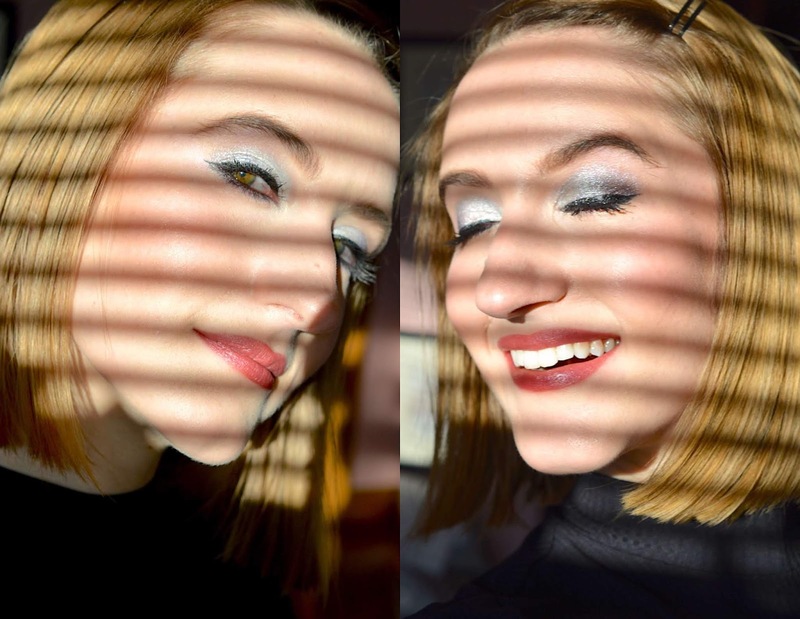 I used the blue shade mostly to top off my two cream shadows, and to lock them on all day. 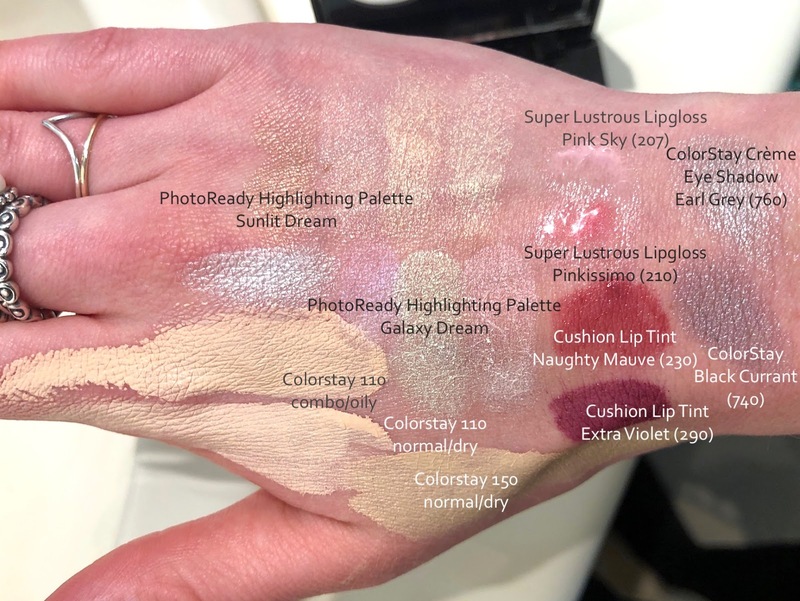 The shades will really play off whatever colour is underneath - whether it’s your skin colour or cream makeup (shadow, blush, etc) they have great payoff and such a fun glow. 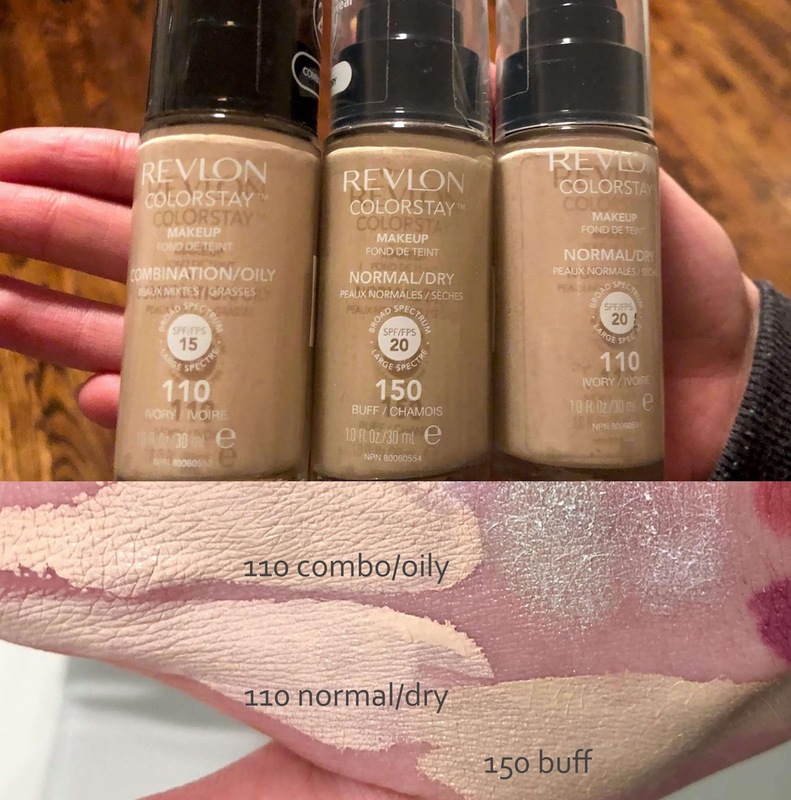 A classic foundation, ColorStay comes in two formulas: Combo/Oily and Normal/Dry. 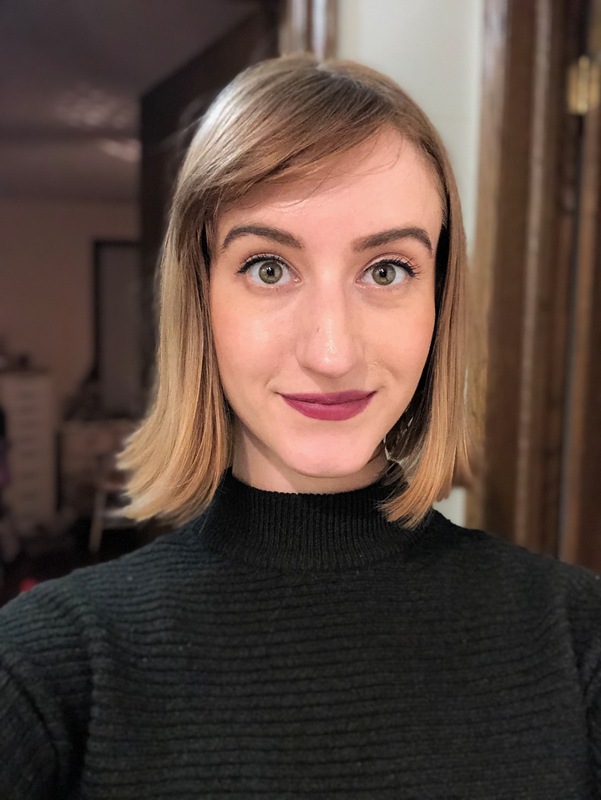 For this look I used my trusty Full-Cover foundation, which I reviewed in-depth here. I adore the cushion lip tints from Revlon, a few of which I reviewed here as well. The one I'm wearing above is Shade 290 Extra Violet, and the one in my Mythic Lights look is 230 Naughty Mauve. I’ve mentioned these COLORSTAY cream shadows before, and these two new shades don’t disappoint. Creamy, smooth and highly pigmented. I used the Black Currant blue-purple shade on my outer corner, along with the Earl Grey silver along the inner-corner and mid-lid. They're both cool, wearable and easy to apply either sheer or heavy. Finally, mascara! I definitely enjoy using this Volumazing one from Revlon, and it worked fabulously to define and plump up my lower lashes. It is a formula that can flake on me throughout the day, but overall - it's ok! More thoughts in a previous review here.